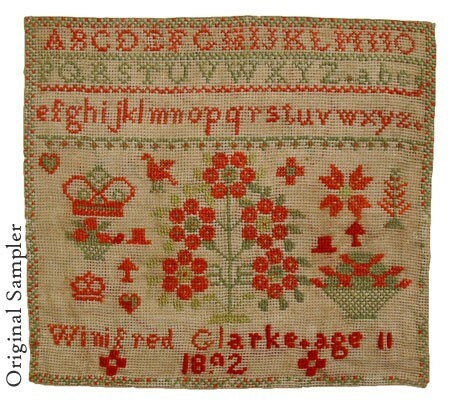 Winifred Glarke dedicated three rows of her charming little sampler to letters of the alphabet. 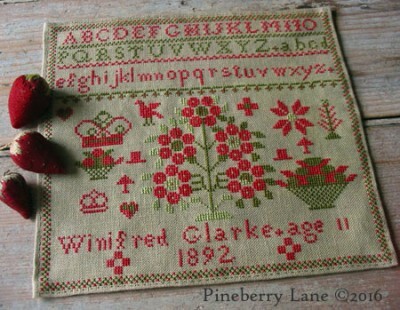 She filled the rest with floral motifs, fruit baskets, crowns, a bird and other folky designs. Her name, age, and the year 1892 complete her work. 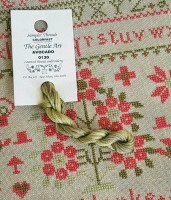 Sitched on 32 count Lakeside Linen “Vintage Pear” using threads by The Gentle Art and DMC. 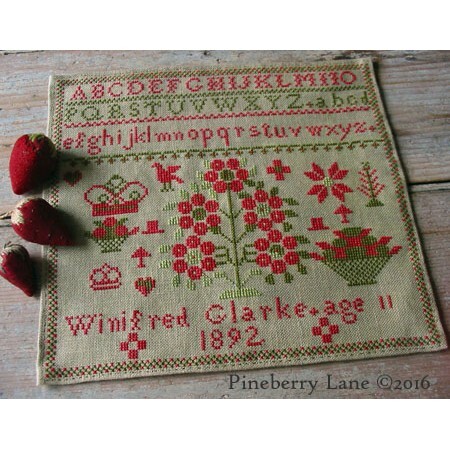 Pattern includes color photo, professional cross stitch chart, floss colors with DMC alternates, and hemming instructions. Optional instructions for aging your work are also included. Winifred Glarke 1892 uses a combination of DMC and The Gentle Arts Threads. This par..